Home ♦ Open Wheel ♦ McLaren Honda to Return to Historic Colors? 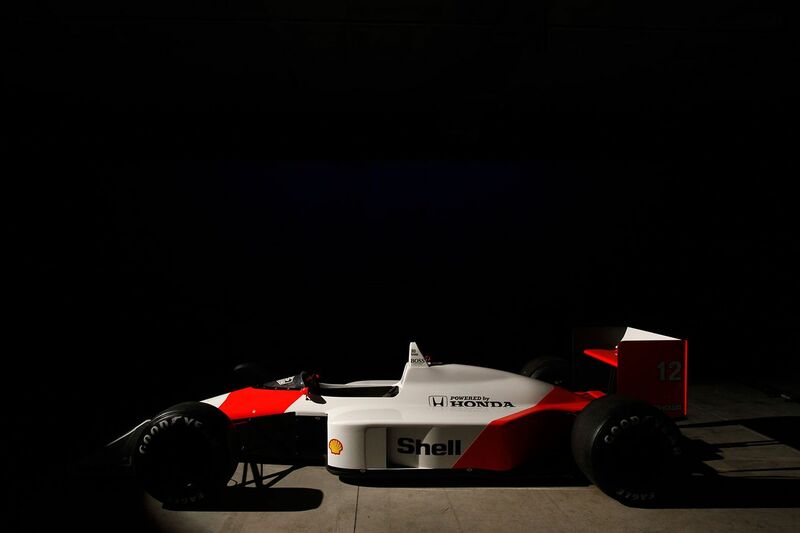 McLaren Honda to Return to Historic Colors? The Spanish Newspaper El Mundo Deportivo reports that McLaren might return to using its historic orange color! Keep in mind they are Honda powered like there back in the Senna Prost days. The reports says there’s a chance the car could be all white as it was in McLaren’s first year in ’66 but a lot depends on whether the team picks up a major sponsor. We think it will be white and orange like it was in the day! One thing is clear, Honda does not want the cars silver because it is a color that is immediately associated with Mercedes and iconic ‘Silver Arrow’. And it just happens that Mercedes decided to ‘resurrect’ the legend of the ‘Silver Arrows’ (1930’s) for the coming 2015 season and will return the car to silver, well really chrome – a special paint called “Kromo.” Of course their paint has a name. Its Formula One.